Collapsed Trachea is a common progressive condition that most often affects small breed dogs. The rings of trachea cartilage become weak restricting airflow. The first sign typically is a dry cough and progresses to difficulty breathing and exercise intolerance. Many dogs with Collapsed Trachea also have poor digestion and acid reflux. Acid reflux can irritate the esophagus worsening coughing symptoms. Poor digestion due to food allergens can make your pet feel uncomfortable. 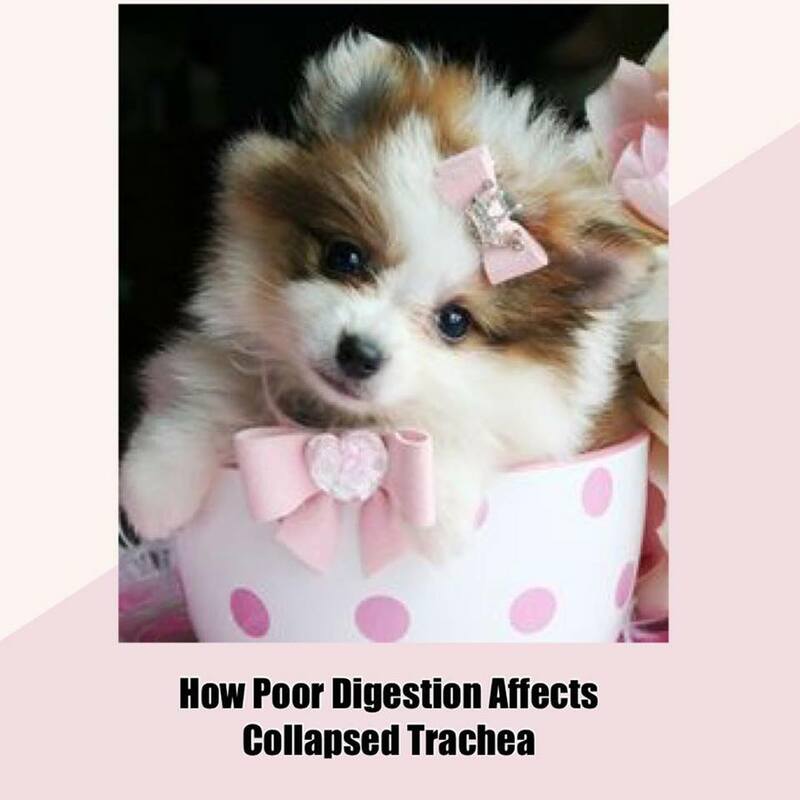 Acid Reflux and digestive problems can worsen symptoms of Collapsed Trachea, but you can help your dog feel better. Please click Here for more information. Using Ultra-Flex Collagen for Pets can be helpful to strengthen the trachea cartilage. To address the digestive issues and inflammation which can worsen the symptoms of Collapsed Trachea, changing your pet's diet and using natural supplements can be the key in helping them feel better. The combination of Power Probiotic for Pets, Gastro ULC and Lypozyme can be the winning protocol to improve your pet's digestion and lessen discomfort. Unfortunately, there is no cure for Collapsed Trachea, but using these natural supplements may slow the progression, reduce the symptoms and improve your pets quality of life. Ultra-Flex Collagen for Pets- is an alternative to glucosamine and is derived from eggshells. It is a gentle formula that is easy to administer and clinically tested to reduce joint stiffness and pain in cats and dogs. It also supports the rebuilding of cartilage and joint connective tissue. Power Probiotic for Pets - The best probiotic for pets! Backed by scientific research, this powerful multi-strain formula promotes the growth of friendly bacteria which helps replenish a healthy intestinal ecosystem. Helpful for any pet with digestive discomfort and most pets love the taste too! Gastro ULC For Acid Stomach in Pets- Natural stomach acid reducer-- relieves acid pain and repairs inflamed tissues. Grass eating is a classic sign of a pet with acid reflux as is gulping and lip smacking. Use with the Lypozyme and Power Probiotic to improve digestion while the Gastro ULC helps quiet the stomach pain and discomfort. Lypozyme- is a gentle, easy to administer digestive enzyme formula for all dogs and cats that helps with the digestion of protein, fats and carbohydrates. Provides tremendous relief with digestion, helps with stool formation and supports overall immune health.